Graduation at The Cathedral School Celebrates Excellence in Education! 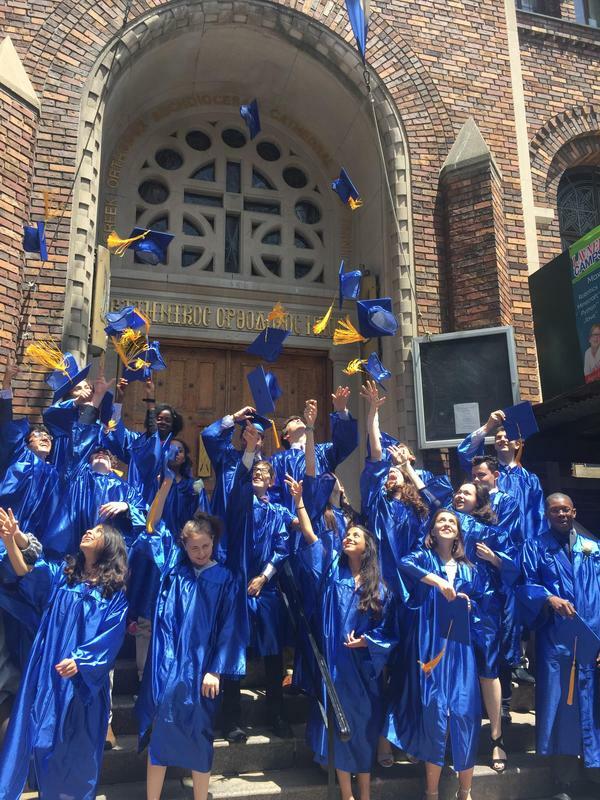 The Cathedral School gathered June 11th at the Archdiocesan Cathedral of the Holy Trinity in Manhattan to celebrate the graduation exercises of its 8th grade class. Distinguished television producer Michael Karzis spoke to the graduates and attendees, underscoring the importance of an education rooted in the classics, Greek language, and Greek culture. Mr. Karzis reminded the students to always, “Contribute...be respectful...and be kind”. Distinguished guests such as His Eminence Archbishop Demetrios, Geron of America and Bishop Nicholas of Russian Orthodox Church, listened to speeches given by outstanding scholars George Chudley, Logan Coster and Richard Abiuso, the valedictorian and co-salutatorians of the class respectively. The Three Hierarchs award, celebrating the student who most embodies Greek Orthodox values, was given to Manolis Lambrakis. “A school that graduates students with such strong academics and moral values is unique and a source of strength for the Greek community” noted Live Diakolios, a Cathedral School Board Member.